Article by Harneys - British Virgin Islands Office. The first stage of most property transactions is the buyer and the seller agreeing the principal terms of the transaction such as price and any conditions which must be satisfied before the sale and purchase can proceed. These terms are typically recorded in a letter of intent, otherwise known as head of terms and the deposit is usually paid at this stage. The letter of intent is usually stated to be subject to contract which means that until the sale and purchase agreement has been entered into there is no legal commitment by either party to the other. Once the sale and purchase agreement has been entered into the buyer is legally committed to buy and the seller to sell at the stated price, subject to the agreed conditions. In a standard property transaction a deposit of 10 per cent of the purchase price is paid by the buyer. Paying a deposit prior to signing the sale and purchase agreement does not in itself secure the property, but along with the letter of intent it is an indication of serious intent and a buyer will usually expect the seller to withdraw the property from the market at this stage. The deposit is paid by the buyer either to the estate agent (if there is one) or to the seller’s lawyers before or upon signature of the sale and purchase agreement. The deposit will normally be placed on an interest bearing deposit account so as to earn interest. The interest follows the deposit and so if the sale proceeds normally, the seller will be entitled to the interest on the deposit at completion. If the sale does not proceed and the buyer recovers the deposit then the buyer will be entitled to the interest. The sale and purchase agreement is normally prepared by the seller’s lawyers and submitted to the buyer’s lawyers for amendment or approval. Amongst other things, it contains a description of the land, the nature of the title (whether freehold or leasehold), and the agreed price. In the case of developed property, it should document if any furnishings are included as part of the sale. The buyer should always be sure to have arranged adequate financing before signing the sale and purchase agreement, or ensure that the sale and purchase agreement is made conditional on securing adequate financing. If the buyer is unable to pay the balance of the purchase price at completion, the buyer is likely to, at least, lose the deposit. The sale and purchase of a property may be made subject to the satisfaction of one or more conditions. The nature of the conditions will depend on the particulars of the transaction but may include the buyer securing adequate financing and/or the buyer arranging and receiving the results of various property-related surveys and inspections to its satisfaction. Buyers who are not Belongers will need to obtain a Non-Belongers Land Holding Licence (a Licence) to hold the property. For this reason a sale of property to Non-Belonger buyers should always be made conditional on receipt of a Licence. Licence applications are generally made by the buyer’s lawyers, but in order to make the application the lawyers need to be provided with certain information about the buyer together with other supporting documents. A Licence application relates to a specific property and a specific buyer. A Non-Belonger buyer purchasing undeveloped land will need to submit a proposal for its development as part of the application for the Licence. If the development proposal is approved, the development proposal will be included as a condition in the Licence which the buyer will be expected to comply with. Where the buyer fails to comply with a condition in the Licence, the BVI Government may impose a financial penalty. 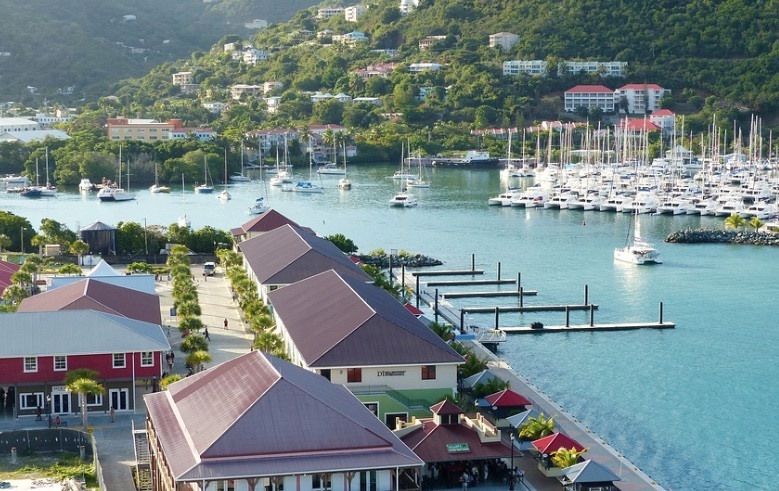 A Licence will typically be granted with a condition not to undertake any alterations to the property without the consent of the Cabinet of the Virgin Islands. Where a Non-Belonger purchases a developed property and wishes to undertake alterations to it (such as adding bedrooms, bathrooms, a gazebo or swimming pool) the buyer should include details of their proposals as part of the application for the Licence, to avoid the need to make a further application for the required consent after completion. The application process for a Licence typically takes approximately 3-5 months. A sale and purchase agreement will typically provision for 12 months to allow sufficient time for the buyer to secure the Licence. If the Licence is not secured within this timeframe the sale and purchase agreement will typically allow the parties to agree an extension of time, or for either party to terminate, in which case the buyer secures the return of the deposit. Completion is usually arranged to take place within a specific time after the last of the conditions in the sale and purchase agreement has been satisfied. Upon completion the seller and the buyer sign an Instrument of Transfer which records the transfer of the property from the seller to the buyer. If the buyer is borrowing money to fund the purchase of the property then the buyer will need to sign loan documentation at completion. The balance of the purchase price is payable at completion. It is generally upon completion that the buyer takes possession of the property. Immediately after completion, the buyer’s lawyers will present the Instrument of Transfer to Inland Revenue for payment of stamp duty. Stamp duty is calculated as a percentage of the higher of the purchase price and the market value of the property. For Belongers this is 4 per cent and for Non-Belongers this is 12 per cent. In each case a copy of a recent appraisal must be submitted as evidence of the market value. After stamp duty has been paid and the Instrument of Transfer stamped, the buyer’s lawyers will submit the Instrument of Transfer for registration at the Land Registry. After completion the buyer will need to ensure that any accounts for utilities are transferred to the buyer’s name. None of the legal procedures requires the personal attendance in the BVI of the buyer or seller. Harneys is a global offshore law firm. We provide advice on British Virgin Islands, Cayman Islands, Cyprus, Bermuda and Anguilla law to an international client base which includes the world’s top law firms, financial institutions and investment funds, as well as high net worth individuals.